Oh no! MagicJack Lost its Mojo! Over the weekend the Telecom Law Monitor, a blog from the telecom practice group of Washington D.C. based Kelly Drye caught my eye when I spied that MagicJack's sister/parent company, YMAX and AT&T were embroiled in a battle over, you guessed it. MONEY. 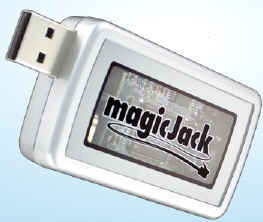 For a long time many observers were trying to figure out just how MagicJack made money. Well, this FCC decision really helps make things clearer. What you have to realize here is that what MagicJack was basically doing was taking the approach of a loss leader on their sale of the device, and free calls offer, and hoping to make money on the "access" charges, much the same way the "free" conference calling telcos in the midwest make their money. Well, it seems AT&T challeneged YMax's approach and the FCC agreed. I'm assuming this FCC ruling would also affect the new player on the VoIP USB access device block - netTalk, which I recently reviewed. Read the rest of Andy's insights.